At Paintworks, our goal is to help you visualize your dream and transform your environment. No matter your preferences we’ll guide you through the decisions, providing information and options as you can choose your favorites. We pull it all together into a home or office design that is beautiful, functional, and uniquely yours. We are Las Vegas natives who have attended the Fine Art program at the University of Nevada Las Vegas. We have the knowledge of color design and theory to help you make informed decisions that you can be happy with for years. With years of experience in evolving materials and applications we stay in close contact to our manufacturers' representatives and stay up to date with current products and trends. We will only perform the proper applications that are proven to last. You can be rest assured you will be given the best quality of work possible. We thrive on our customers satisfaction. No matter the size of the job or conditions, we treat everyone with the utmost respect and understanding with honor and integrity. Our primary concern is your satisfaction. When it's time to update your interior or exterior paint, you want to hire a painter with the experience and expertise to get the job done right. Mark Anthony Painting specializes in residential and commercial painting at competitive prices. At Mark Anthony Painting, we are committed to excellence. As your painting contractor, we offer you high quality work, attention-to-detail, and over 32 years of experience. We only use top-of-the line paint from manufacturers you know and trust like Sherwin Williams, Behr, Glidden, Dunn Edwards Paint, and more. We are licensed, bonded, and insured giving you peace-of- mind you're working with a professional painter. Our goal is your complete satisfaction and we strive for on time and on budget results for your painting projects. If you're looking for a painter in Las Vegas, NV we are the local choice. Whether you're looking for interior or exterior painting for your home, office, or commercial building, we will get the job done right the first time, every time. Residential and Commercial “For Contractors & Designers; It’s Quality Without Question” Our Residential and Commercial services are many and varied. Depending on the selected custom finish, any number of techniques may be used as a finish coat. This may include faux finishes, wall covering installation, or garage floor epoxies ...whatever it takes to fulfill the client’s vision. If you can dream up the finished surface, Fresh Coat will create it and install it. Quality preparation is the key to any paint projects, so we use the utmost care to properly prepare all surfaces to above industry standards. Fresh Coat is a licensed, bonded and insured painting contractor in the State of Nevada. Whether you are looking to have your residence or small commercial property upgraded or just spruced up to sell, we supply all your professional painting, wood finishes and drywall needs. At AllPro Painters, what defines us is our professionalism. All Professional Paint Jobs™ isn’t just our tagline, it is what we want you, our cherished customer to judge us by. From your first call to our office, when we pull up to your house in a wrapped vehicle for your appointment, when our painters arrive at 8 am sharp to start covering and prepping for paint, when the superintendent walks the job with you, to the final touchup and signing of the check, we want you to feel you were in the hands of professionals from start to finish. Our primary focus at AllPro Painters is to retain 100% customer satisfaction. Our Las Vegas painters are guaranteed to be knowledgeable, skilled, confident professionals and capable of producing quality paint job every time. Your satisfaction is our priority, and our goal is to exceed customers’ expectations on every painting job we complete. 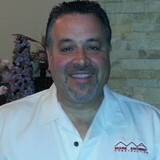 The management team has a combined 100+ years in the business of painting, framing and drywall. Allpro Painters has been providing painting services to houses and business for over a decade, completing more than 40,000 painting projects. We hire only the best painters in the Las Vegas area and use high-quality products to complete your paint job – all at a price you can afford! Call us today for a free, on-site house painting estimate! We use computerized, unbiased estimating software to provide you with an immediate written estimate that we stand by. Your quote will be broken down so you can see exactly where each dollar is going. We promise to complete your interior or exterior painting job on budget. Contact us today to learn more about how the most professional Las Vegas painting contractor can help with your next painting project! DC Painting LLC is a licensed, bonded and insured painting contractor. We are a repaint specialist who provides high quality work and service. We can paint as little as a exterior trim or the entire house, we do it all. Customers call, we provide a free detail written estimate, we do our job at higher standards, we make sure everything promise got completed and move on to the next job. When you hire DC Painting LLC you will deal directly with business owner; I provide you with free estimates, we offer Free Paint Samples, order material and paint, we manage the entire process for you. We have a well trained team that know the importance of quality, neatness, safety, and our goal as a company. 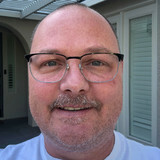 Kai Dodaro, President of K & R Painting and Drywall since 1994, has been in the painting and drywall business for over twenty years. He’s been a foreman and operator for the biggest companies in Nevada, and has specialized in all phases of drywall painting and stucco services: from complete homes to repair work, fire damage, and water damage. Dodaro’s vast experience in the field has enabled him to carefully evaluate how to get the work done in an effective and prompt manner. Customer service is also of the utmost importance for Dodaro, which explains why he attends to his clients’ demands in a respectful and honest way, offering them the high quality solutions they need with a quick turn around. Vegas Painters was founded in January of 2002 when David and Michael Palumbo combined their individual painting companies to become the premier painting contractor in Las Vegas. Both brothers learned their craft in the paint trade, when they joined local union 368 in Washington, DC in 1971. Combining their experience, work ethic and love of the industry, resulted in the creation of the most capable and professionally run painting company in southern Nevada. Vegas Painters provides a broad spectrum of services including; residential painting, commercial painting, interiors, exteriors, HOA painting and much more. Customer Satisfaction is not a slogan with Vegas Painters, it’s the foundation of their entire business philosophy and this is instilled in every employee from their first day on the job. 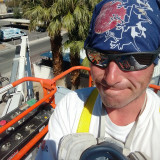 In fact every Vegas Painters employee must become certified through their in-house Professional Painter training course. Ongoing education for all employees, allows the entire company to keep current with new materials, techniques and innovations in the paint contracting industry. The Palumbo brothers pride themselves on their old world craftsmanship and professional work ethic, something that is hard to find in Las Vegas. They have created a company that truly puts the customer first. So whether you need interior painting, exterior painting or commercial painting services for your business, you can count on the #1 painting contractor in Las Vegas; Vegas Painters. Increase the value of your investment with professional interior and exterior painting services from our contractors in Las Vegas, Nevada. A & P Painting offers a variety of services at competitive rates. Established since 1985, we pride ourselves on the quality of our workmanship and our excellent customer service. Contact us for more information about our exterior and interior painting solutions. Trust in our painting contractors in Las Vegas, NV for professional interior and exterior paining. Whether you need stucco repair, pressure washing, foam roofs, elastomeric, roof repair, roofing contractor, or house painting, we can do it all. Call us today to get started! J&J Custom Painting Company is a family operated business. Our company is highly qualified in both commercial painting and residential painting, with experience in the trade since 2005. T. Stone Co. Has been making clients happy for over 10 years in the Las Vegas Valley and Los Angeles area. Our paint service is second to none! We offer expert color matching, complete prep work. We offer everything from interior/exterior painting, residential or commercial. We work with a wide array of paint and specialty coatings. You can expect detailed work using quality names like Sherwin Williams. And when it comes to wall coverings, “We got you covered!” Weather its installation or removal, making repairs to existing wall coverings. We work with wallpaper, commercial 54″ vinyl, fabric, grass cloth, glass bead, fiberglass and murals among others. Your 100% satisfaction is guaranteed. We offer a 5 year labor warranty. At Detail Painting, we’ve been serving the Las Vegas area with top-notch residential, commercial and industrial painting services since 1998. During that time, we’ve attained a name for ourselves as one of the finest painting companies in the area. We’re proud of our terrific reputation and seek to maintain it by doing the absolute best on every job. When you hire Detail Painting, you are always assured a team of thorough and timely painters who will complete the job on time and to your complete satisfaction. We’ll work alongside you to help find just the right color scheme for your business or home’s unique decor and then paint to your precise specifications. With Detail Painting, there’s never any mess or mistakes. Our crew is meticulous and neat; we’ll never leave a mistake uncorrected or a mess not cleaned. For more information about our painting services, call us today.